The UK has risen to sixth place on a list of the world’s most generous countries, a report from the Charities Aid Foundation shows. 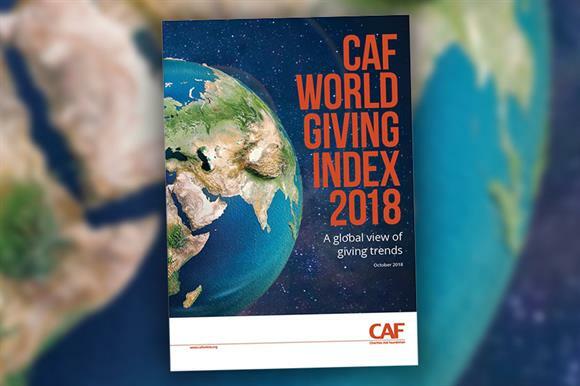 The latest instalment of CAF’s World Giving Index, produced annually since 2010, shows the UK has jumped up from eleventh spot last year. Australia was second and New Zealand in third. The US was in fourth and Ireland was the top European nation in fifth. The UK had an overall score of 55 per cent this year, up by five percentage points on 2017. Donation levels had, however, increased among developed nations, while it had fallen in developing countries. In the UK, the proportion of respondents who said they had donated money to charity in the past month rose by four percentage points year-on-year to 68 per cent. The proportion of UK respondents who said they had helped a stranger or volunteered both rose by five percentage points to 63 per cent and 33 per cent respectively. CAF said the scores of the top 20 western countries had generally bounced back after they all fell last year. Haiti and Singapore both moved into the top 20 for the first time this year.